We like this because… This camera is an upgrade from the hugely popular 2542 camera utilising H.265+ and vandal resistant housing! The DS-2CD2535FWD-I is a 3MP (2048 x 1536) mini dome camera with a 2.8mm fixed lens. It is the most compact of all of Hikvision's cameras with a total diameter of 110mm making it a great choice for discreet applications. It also has built in infra-red LEDs that reach a maximum distance of 10m meaning it can be used in applications where a camera is needed near a front door without making the person/object of interest appear white out - This can happen with infra-red that is more powerful. This camera comes fitted with IK08 vandal resistant housing, IP66 weatherproof housing and a lens which can be adjusted on 3-axes. The DS-2CD2535FWD-I uses wide dynamic range (WDR) , 3D digital noise reduction (3D DNR) and back light compensation (BLC) to ensure that the best possible image is always captured. On top of these features, the DS-2CD2535FWD-I utilises smart features such as motion detection. intrusion detection and line crossing detection to further improve security. H.265+ reduces and bandwidth and storage usage up to 70% when compared to H.264 so the on board SD card slot can be used without reaching maximum capacity so quickly. 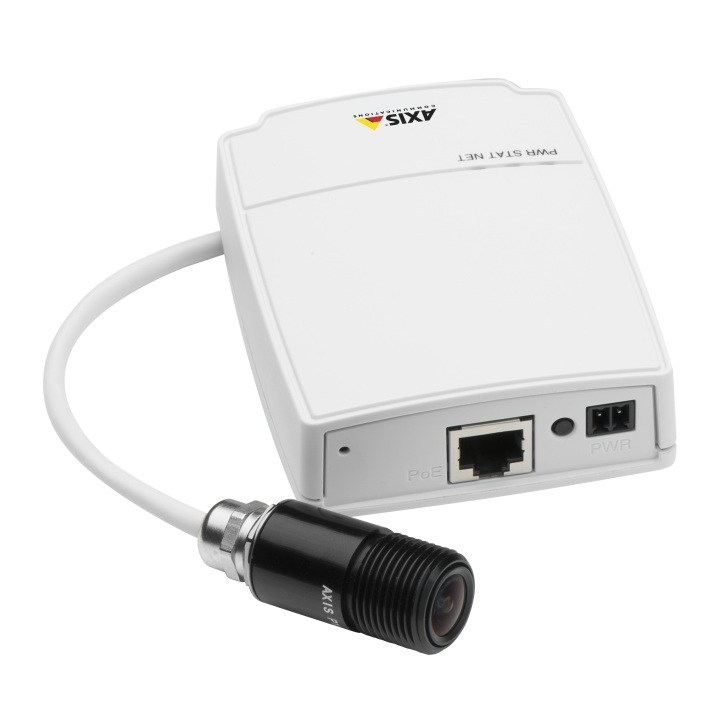 This camera can be powered with either a 12VDC power supply or PoE and can be accessed remotely through a browser or via the Hik-Connect app.